Ofc. 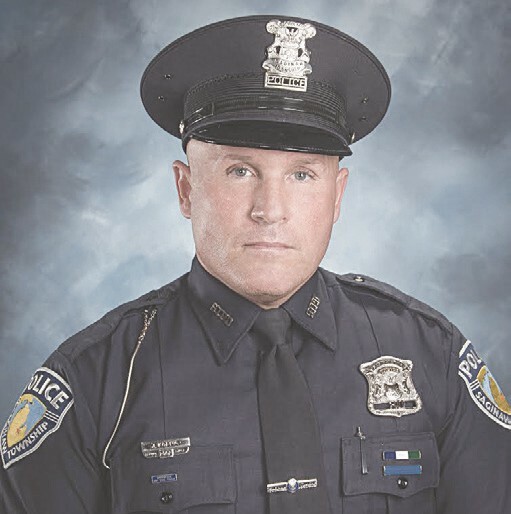 Jeff Koenig is a 16-year veteran of the Saginaw Township Police Department. As of press time, he was in stable, yet still critical condition. SAGINAW TWP. — A Saginaw Township police officer was shot in the face during a traffic stop in the early morning hours of Jan. 22, leading to a day-long manhunt for the alleged shooter. 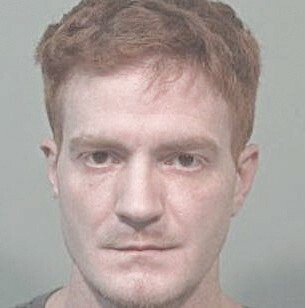 At approximately 1:15 p.m., Michigan State Police Lt. David Kaiser told media outlets the suspect in the shooting, Joshua M. Rosebush, 29, was shot and taken into custody at approximately 1 p.m. Thursday after a police pursuit in Shiawassee County. Saginaw Township Chief of Police Don Pussehl told the View township police officer Jeff Koenig was shot in the face around 2 a.m. on Jan. 22 during a routine traffic stop. Koenig, a 16-year veteran of the township police department, pulled over a vehicle on Tittabawassee Road near Bay Road, in Kochville Township, near the entrance to the parking lot of Staples and Cabela’s. As the officer walked up to make contact with the driver, at least two rounds were fired, hitting Koenig in the face and shoulder, Pussehl said. He fell to the ground and was able to call central dispatch for help. When officers arrived on the scene, they found Koenig conscious and alert; he was transported to Covenant for treatment. He is still in critical condition, though he has been stabilized, police said. The search for Rosebush came to Flint Township when the stolen truck he was driving turned up in the parking lot of Home Depot, 4380 W. Corunna Rd. this morning. With police on alert, many local schools, including some in the Carman- Ainsworth district, were on lockdown for most of the day. At approximately 1 p.m. a vehicle was reported stolen in the 13000 block of Woodbury Road in Burton. Police reportedly located the vehicle on I-69 heading west into Shiawassee County and after a brief exchange of gunfire with police, State Police officials said Rosebush was shot and taken into custody.